Suzhou Chinaing Real Estate Co., Ltd.
Suzhou Industrial Park, located the side of Jinji Lake at the east of Suzhou, with administrative division area of 260 sq.km, has four towns, with population of 230 thousand. Where, planned area for Sino-Singapore cooperative zone is 70 sq.km. 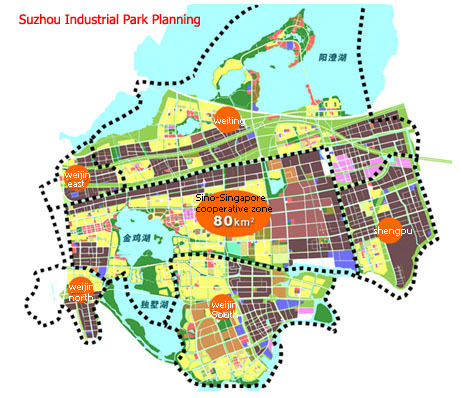 Purpose of the park: to build a high-tech industrial park with international competitive strength, and establish a modern and international new garden district.